When traveling to the foothills of the Appalachians, stay at Howard Johnson Chattanooga Lookout Mountain hotel. Located off I-24, this lodging facility is near Ruby Falls, Rock City, the Incline Railway, and businesses that include Unum Group and BCBST. Chattanooga Metropolitan Airport (CHA) is nearby. 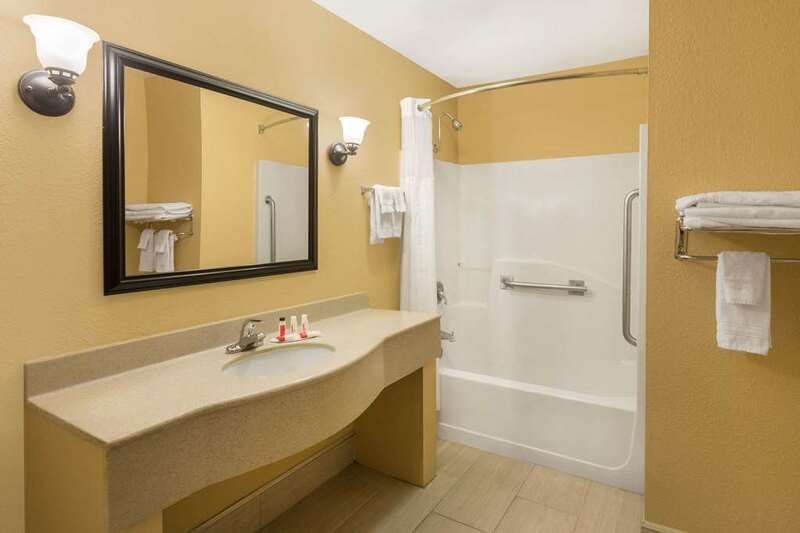 Amenities include complimentary breakfast, seasonal outdoor pool, complimentary parking, business center, and rooms equipped with complimentary wireless internet access, flat-screen TV, mini-refrigerator, microwave, and coffee maker. Suites with jetted hot tubs are also available.